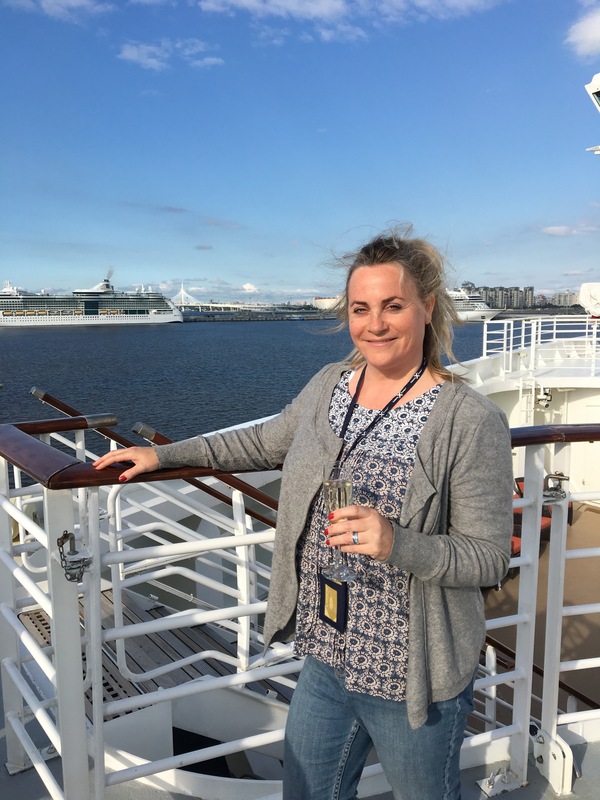 This July, with great excitement, I boarded the much-loved Celebrity Eclipse for a 14-night tour of Scandinavia and the Baltic. 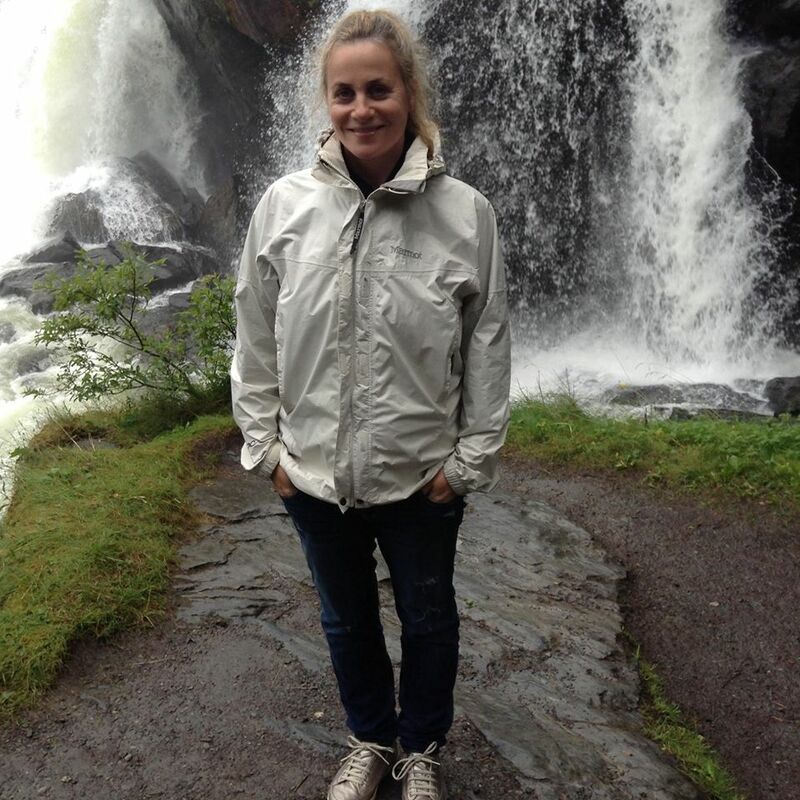 This great itinerary stops in Bruges, Copenhagen, Stockholm, Tallinn, St.Petersburg and Warnemunde; the scenic cruise through the Stockholm archipelago being a definite highlight. These destinations are rich in European heritage, contemporary culture and stunning scenery – and with two overnight port stops in Sweden and Russia there is ample opportunity to explore these fascinating places. The Eclipse was launched in 2010 and is one of Celebrity’s stylish and widely-admired Solstice Class vessels. At 122,000 gross tons, with an occupancy of 2,850 guests and 1,200 crew, it’s certainly large but never once felt crowded during my time on board. With a summer base in Southampton the Eclipse has firmly established itself amongst the no-fly Brits, although on my sailing there was also a healthy contingent of international guests. With the school holidays underway families were sailing in larger numbers but the age range was still diverse and no group dominated another. Experienced cruisers mixed well with newbies, some having travelled this particular route many times – Celebrity and the Eclipse attract a loyal fan base. Inside the Eclipse, the beautiful design encourages a natural flow from place to place, with plenty of quiet areas to relax alongside a wealth of upscale experiences. The interior has a Miami-style vibe with modern and sophisticated touches at every turn. The magnificent atrium, bathed in natural light and surrounded by glass elevators and serene white drapes, suspends a real tree fifty-feet from the floor – acting as a surreal backdrop to the live bands playing there each evening. From the glittering avenue of boutiques to the Canyon Ranch Spa, sleek iLounge and expansive pool deck the Eclipse has the feel of an upmarket resort. The pinnacle of this experience, and perhaps the most striking feature of the ship, is the Lawn Club; a half-acre of real grass where guests enjoy picnics, games of croquet and expansive views out to sea. This was my favourite place for an evening stroll. At night the two-storey Eclipse Theatre comes to life, overseen by legendary Cruise Director Sue Denning (a thoroughly fun and engaging person), hosting in-house shows and guest acts. My cruise attracted visiting comedians, a magician, musicians, local acts and the stellar MacDonald Brothers who brought the audience to their feet. Afterwards the space-age Quasar nightclub entices night owls to the hilarious ‘silent disco’, Karaoke and lively Latin fiestas. The panoramic Sky Lounge, situated on Deck 14, has endless views across the sea and is an enduring favourite amongst Eclipse guests. As with most cruise ships, this top level lounge is a venue for trivia, cocktail parties and late-night dancing. I spent many an hour relaxing on a comfortable day bed reading my book and watching the ship glide past distant coastlines. The Eclipse has a range of eateries, from the formal restaurants to more casual snack bars and cafes. The main dining room, The Moonlight Sonata, is refreshingly bright and airy, designed by Adam Tihany as a champagne fantasy. The double-floor wine tower glitters over diners, with fixed seating downstairs and the select-time dining on the mezzanine above. In the evening the lights are dimmed and a sultry, candle-lit ambience exudes glamour and class. Celebrity prides itself on the quality of cuisine offered on its ships, and this restaurant, overseen by Executive Chef Denton Earl Laing, is a flagship for these standards. The food is outstanding. In fact, on my cruise, with the exception of one evening in Luminae (the restaurant designated for suite guests and the venue for The Senior Officer’s dinner to which I was kindly invited) I couldn’t be tempted from The Moonlight Sonata for fear of missing another exceptional evening … not to mention lunch on sea days and breakfast. Alternatively The Tuscan Grille, Qsine, Murano and Blu offer pay-as-you-go dining and were often fully booked. Informal dining can be found in the excellent Ocean View Cafe on Deck 14 where all-day buffet food spanning the globe is served and exceptions are made for those wanting to opt out of the two or three ‘Evening Chic’ nights which carry a more formal dress code. Down on Deck 5 the packed-out (and frustratingly under-staffed) Cafe al Bacio & Gelateria serves delicious speciality coffee, tea, pastries and the most divine cakes. The latter is so popular it could easily be described as the ‘beating heart of the ship’. On a less favourable note, the poolside Mast Grill serves mediocre burgers and hot dogs and Celebrity could look to other cruise lines for improvement in this area – Holland America’s Dive-In, New York Deli and Pizza and Grand Dutch Cafe are far superior. And for quiet times, there is of course, the well-stocked and peaceful Library. Staterooms on the Eclipse are spotless and well-furnished. Most are balcony grade with a selection of upgrades to include Concierge Class and Aqua Class as well as a small number of suites. Concierge Class, which was my own stateroom type, has well-positioned cabins with extras such as a designated concierge to help with ship and shore arrangements, preferred dining times and special invites (I enjoyed a helipad sail-away from St.Petersburg). Other perks like the daily canapés, which arrived at strange times and were unable to be eaten easily by hand, could be improved. The Aqua Class rooms give access to the Persian Garden thermal suite and healthy eating, Blu. Bathrooms generally are relatively spacious with proper shower screens (hurrah) but bedrooms lack good storage. Clothes need to be kept in cupboards above the bed which requires balancing precariously on a mattress, sometimes in inclement weather conditions! Regardless of the glitz and glamour of any ship, it’s the quality of crew that turns a cruise experience from pleasant to wonderful. And the Eclipse has warmth and friendliness in abundance. The atmosphere is happy and inviting, where guests are encouraged to feel truly welcome. The crew, sourced from across the world, are genuinely friendly people who are professionally trained to the highest standards. This attitude filters down from the top – Captain Leonardos Palaiokrassas, more affectionally know as ‘Captain Leo’, must surely be one of the most personable cruise ship Masters, and is frequently seen in public areas chatting to guests and joining in activities. He ends his informative and amusing daily announcements with ‘Life is beautiful’ and it certainly is on the Eclipse. This positive energy, along with the high standards throughout the ship, contribute to the long-lasting loyalty of Celebrity customers. This is a brand that guests want to travel with again and again and again. To reward these regular guests, the cruise line offers The Captain’s Club, with each tier acheived bestowing more valuable benefits; bridge visits, senior officer dining, exclusive Captain’s cocktail party, Tuscan Grille Elite breakfast, Sky Lounge cocktail hour, wine tasting, backstage tours and elegant afternoon tea.